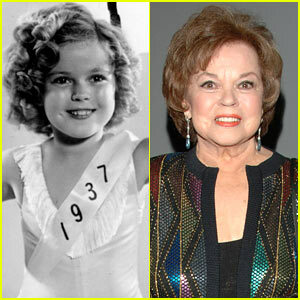 On this day in 2014, Shirley Temple Black, who as a child in the 1930s became one of Hollywood’s most successful stars, dies at her Woodside, California, home at age 85. The plucky, curly-haired performer sang, danced and acted in dozens of films by the time she was a teen; as an adult, she gave up making movies and served as a U.S. diplomat. Born on April 23, 1928, in Santa Monica, California, Temple began taking dance lessons when she was three. In 1932, she was discovered by an agent and cast in a series of short films called “Baby Burlesks.” Her career took off in 1934, when she appeared in the film “Stand Up and Cheer” then went on to star in such movies as “Little Miss Marker” (1934), in which she played a girl left with a bookie as an IOU for her father’s bet on a horse; “Bright Eyes” (1934), which featured her signature song “On the Good Ship Lollipop”; “The Little Colonel” (1935), the first of four films she made with African-American entertainer Bill “Bojangles” Robinson; and “Curly Top” (1935), which included another one of her hit songs, “Animal Crackers in My Soup.” With America in the midst of the Great Depression, Temple’s sunny optimism lifted the spirits of movie audiences and helped make her the nation’s top box-office draw during the second half of the 1930s. (President Franklin Roosevelt once proclaimed, “As long as our country has Shirley Temple, we will be all right.”) Among Temple’s other films credits from this era are “Heidi” (1937), “Wee Willie Winkie” (1937) and “Rebecca of Sunnybrook Farm” (1938). Temple’s cinematic career cooled when she entered her teens although she continued to work. The actress married at age 17 in 1945, only to divorce in 1949, a year after giving birth to her first child. In December 1950, she wed businessman Charles Black, and that same month announced her retirement from movie making. During the late 1950s and early 1960s, Temple, who had two children with her second husband, returned briefly to the entertainment business and hosted a TV show. She also became active in California’s Republican Party and in 1967 made an unsuccessful bid for the U.S. House of Representatives. In 1969, President Richard Nixon named her a delegate to the United Nations General Assembly. In 1972, Temple underwent treatment for breast cancer and became one of the first well-known women to speak out about the disease. From 1974 to 1976, she was President Gerald Ford’s ambassador to Ghana, and won praise for her work in that role. She went on to serve as Ford’s chief of protocol from 1976 to 1977. Under President George H.W. Bush, Temple was appointed the U.S. ambassador to Czechoslovakia in 1989 and saw the collapse of communism in that country. In 1999, Temple, who earned an honorary Academy Award at age 6, was named one of the 50 greatest screen legends by the American Film Institute.